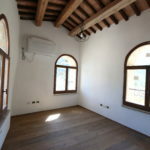 The refurbishment is now completed, only furniture is missing. 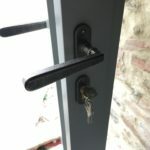 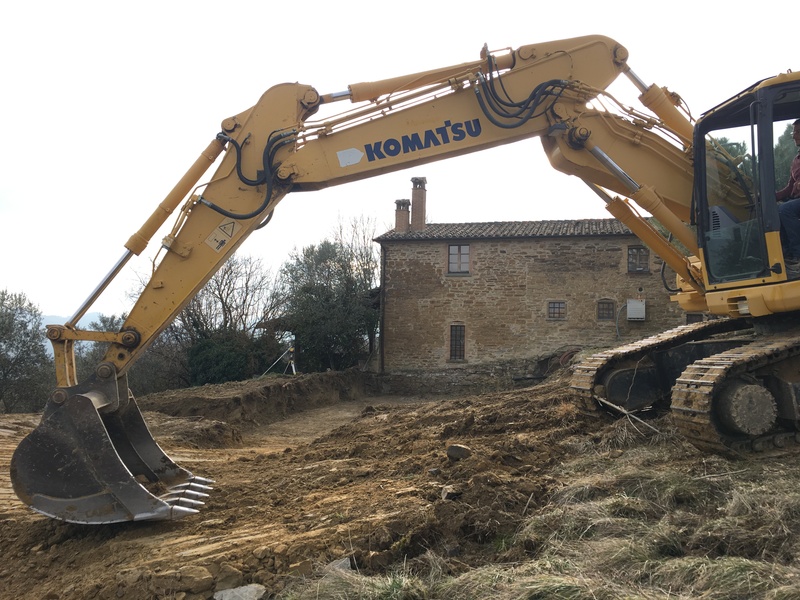 It has been a challenging job due to the extremely difficult access which resulted in having to use special small machinery and often hand transportation for building material. 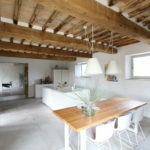 But we managed to turn this small dwelling into a cosy retreat, to enjoy both in summer and winter. 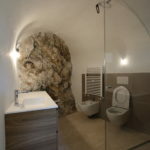 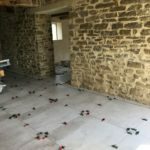 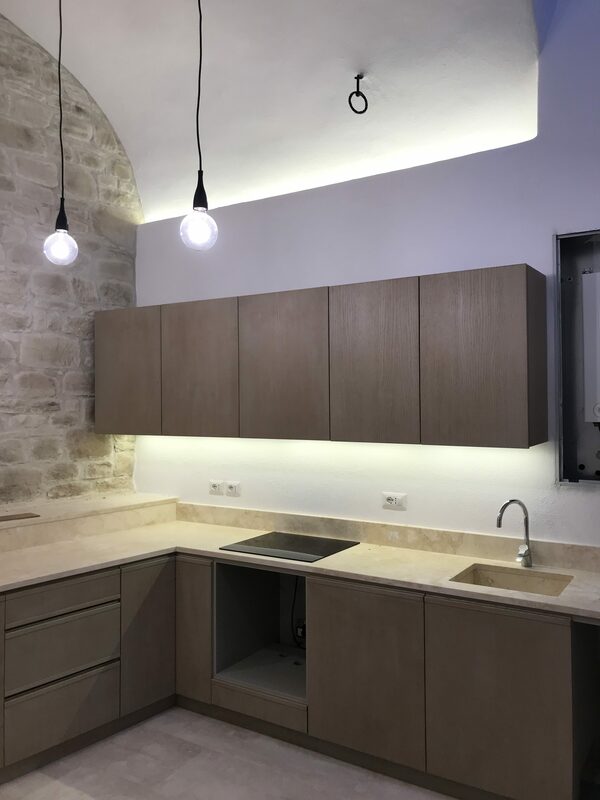 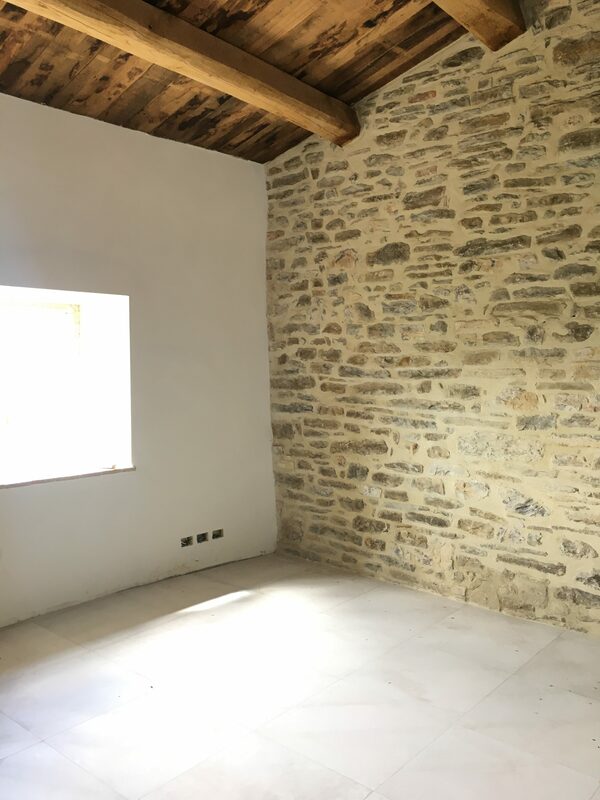 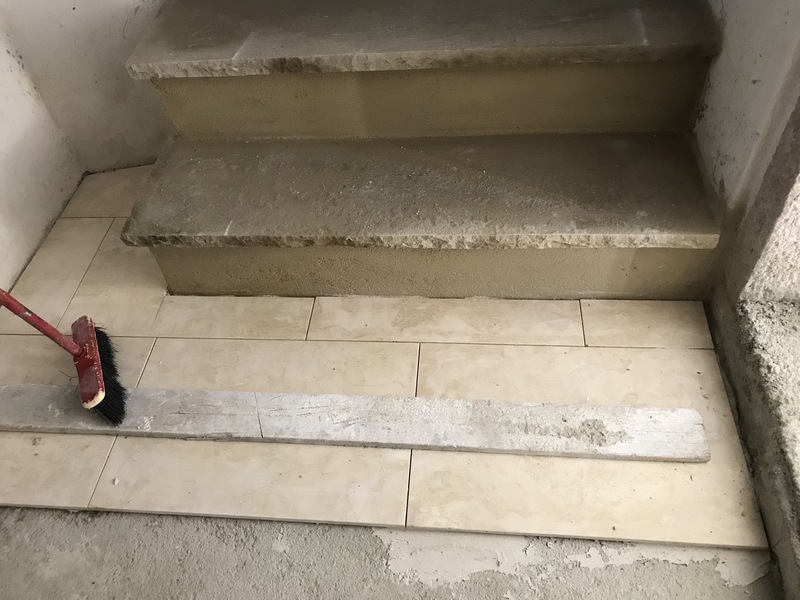 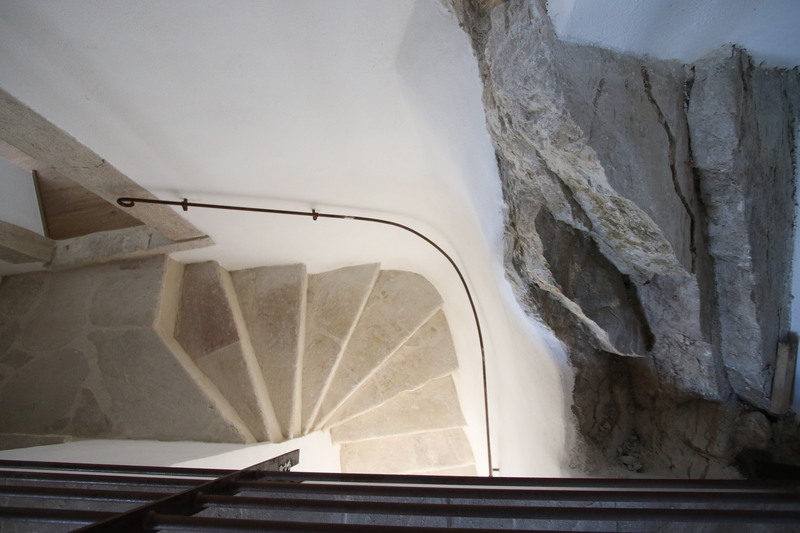 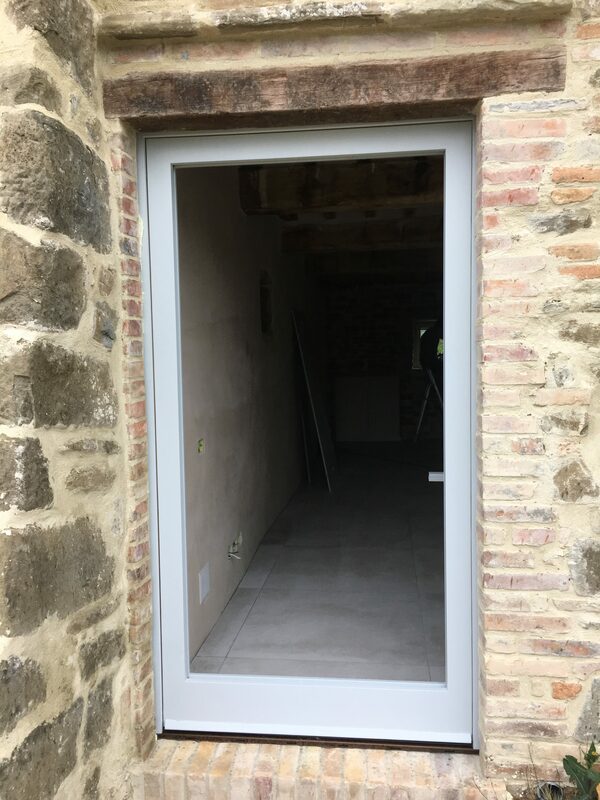 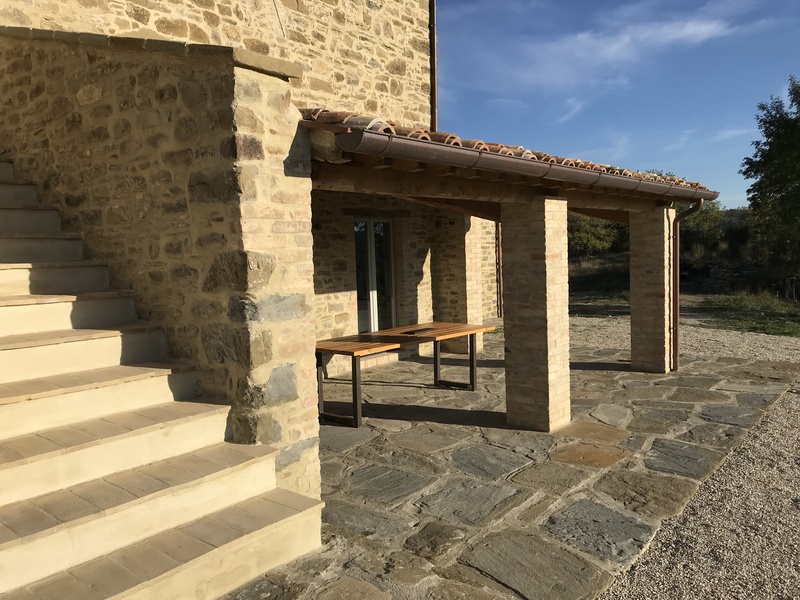 Warm oak floors (first floor) and travertine slabs (ground floor) meet the harsh stone medieval walls – the restoration has respected the original aspects of the building, but at the same time it has provided modern comfort, with underfloor heating and high-performing windows. 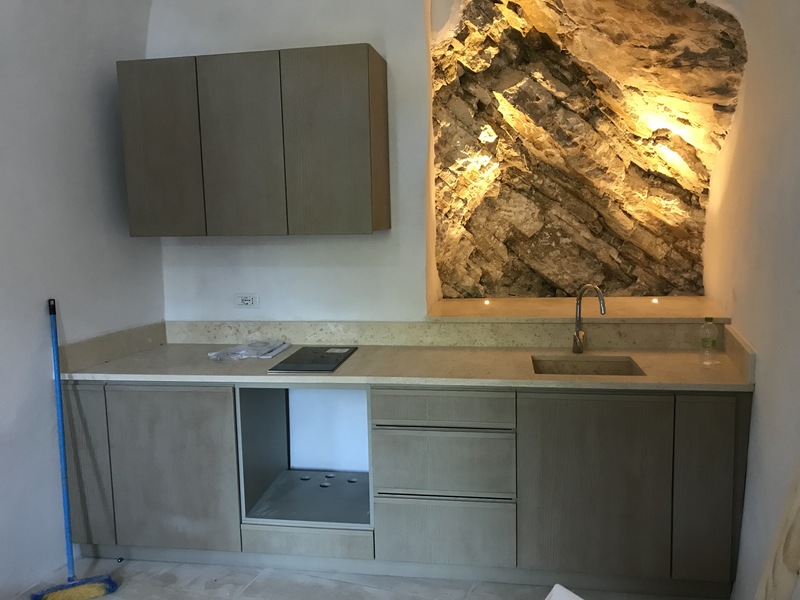 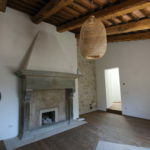 The restoration is finally completed and the owners last summer started to enjoy their italian retreat. 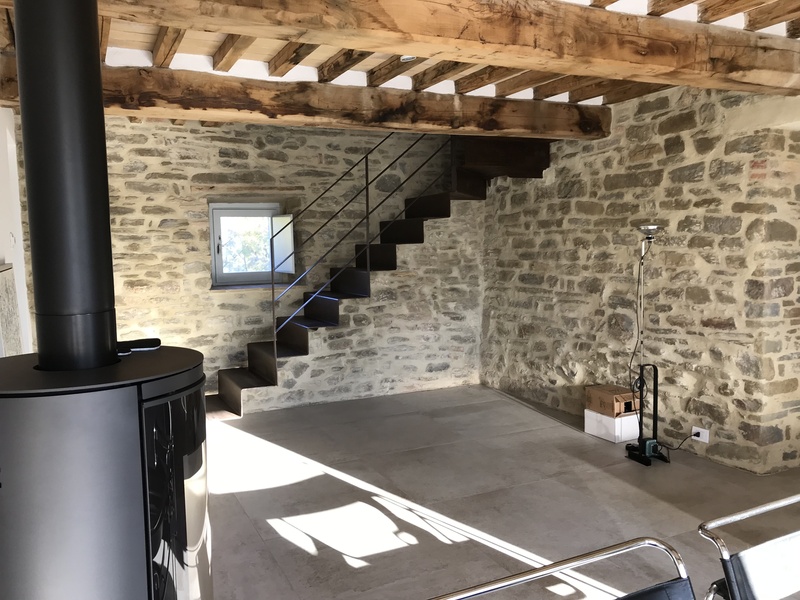 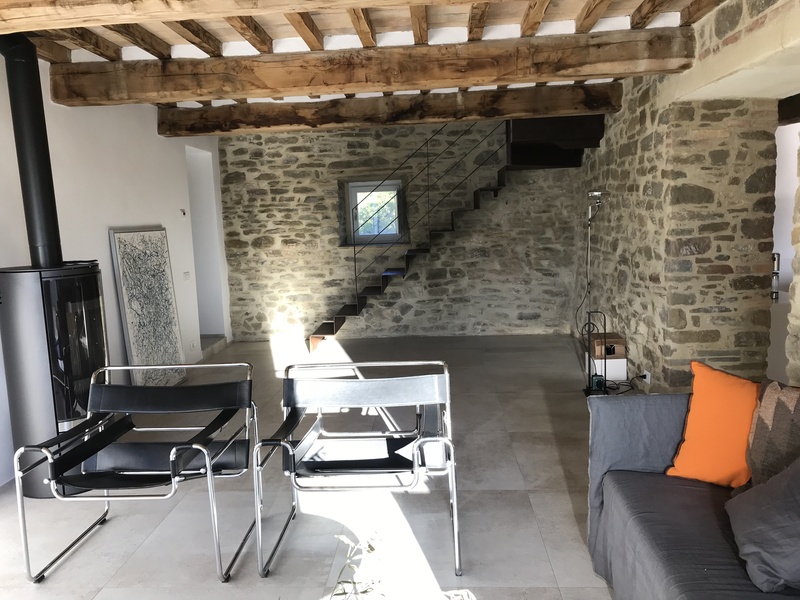 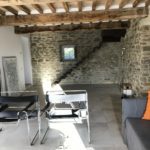 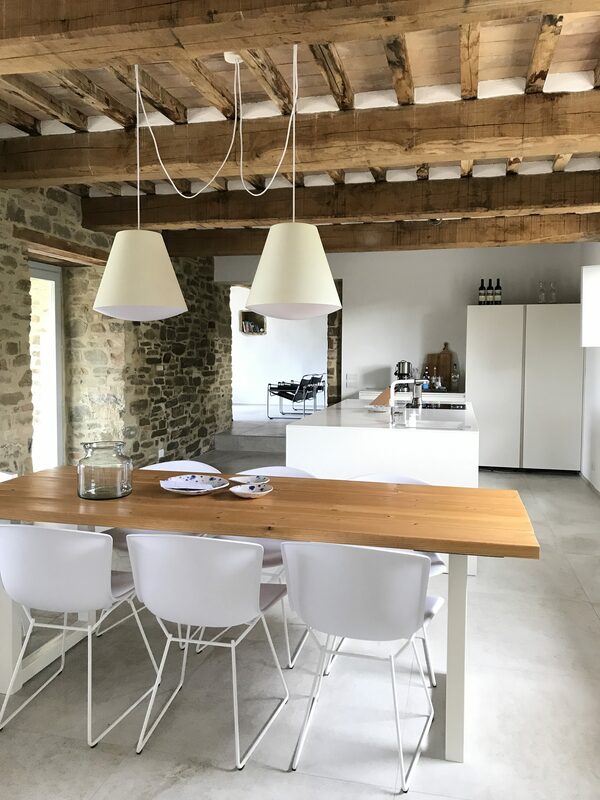 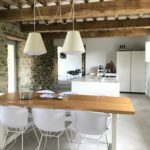 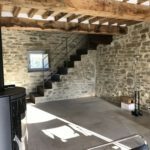 Plenty of light, modern interior, but also a strong presence of the original stone building – an old, abandoned farmhouse which has now a new life. 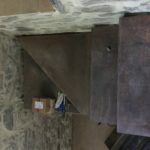 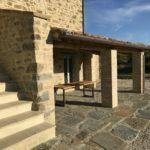 stone farmhouse between Montone and Pietralunga, in North-East Umbria, will be enlarged with 100 sq.m. 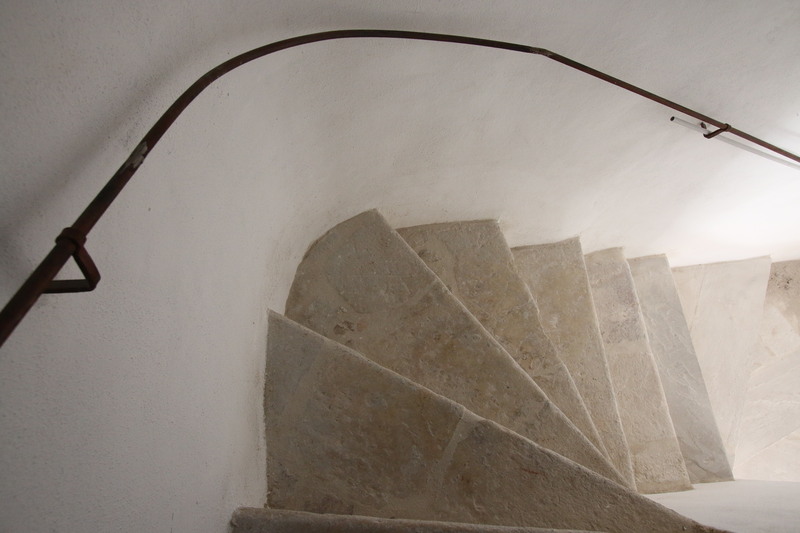 into an “L” shape. 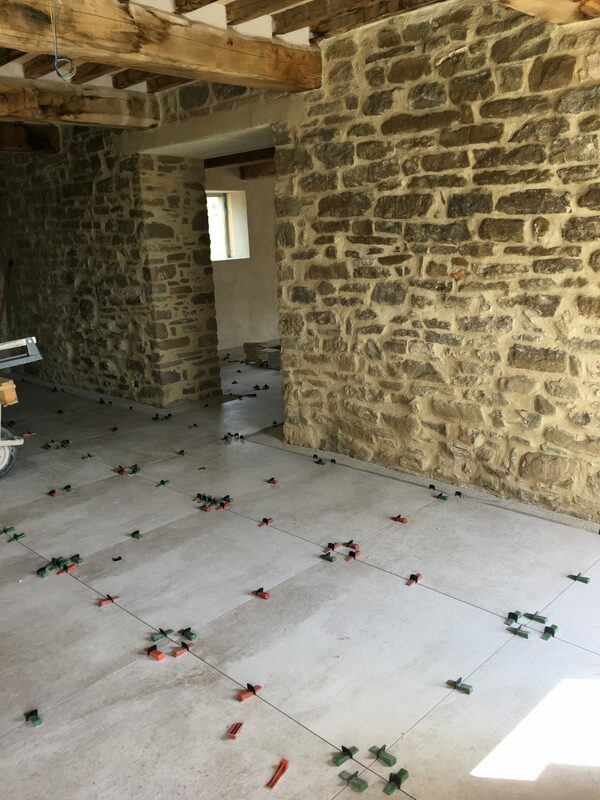 The extension will be in reinforced concrete (due to seismic regs) but cladded in local stone to match the existing building. 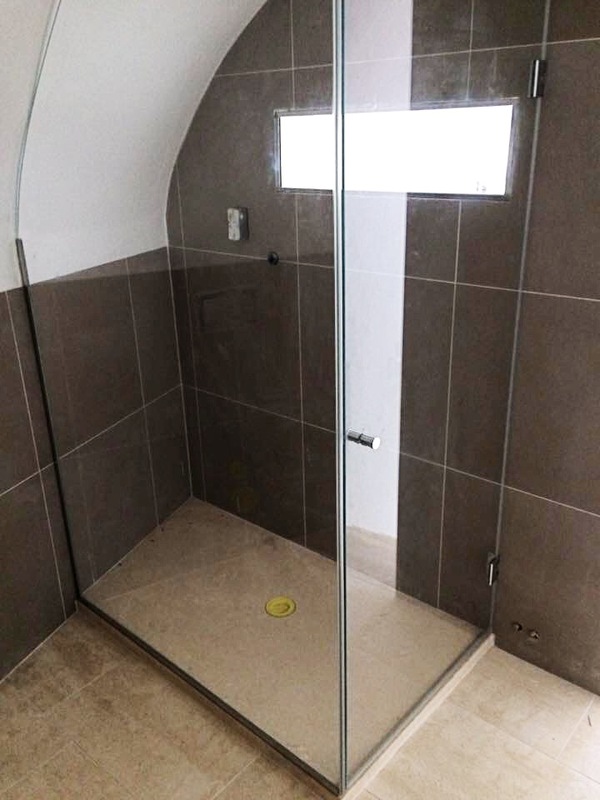 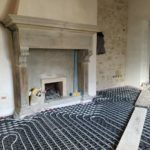 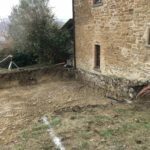 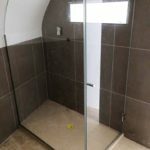 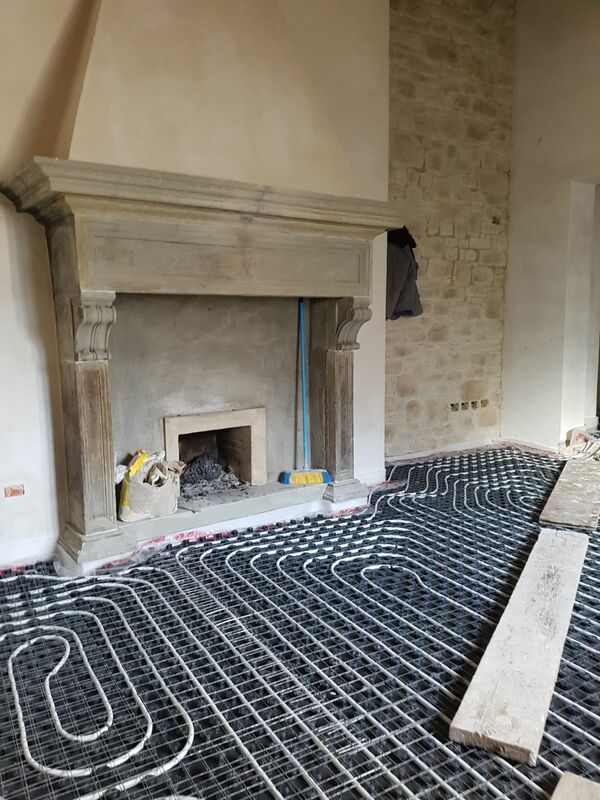 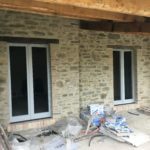 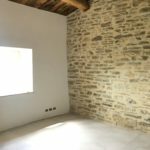 All materials will be traditional, from chestnut timber, to terracotta pianelle and stone floors…..Follow the extension phases on this blog. 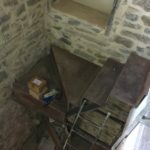 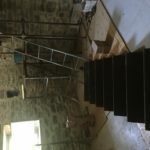 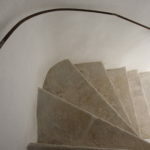 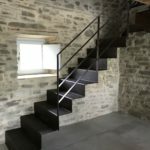 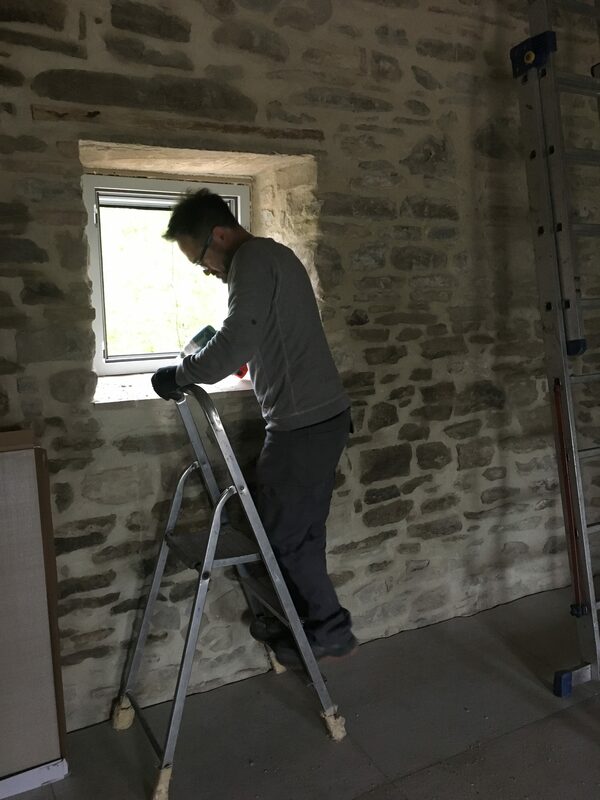 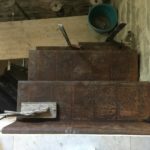 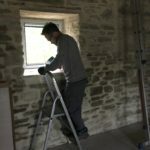 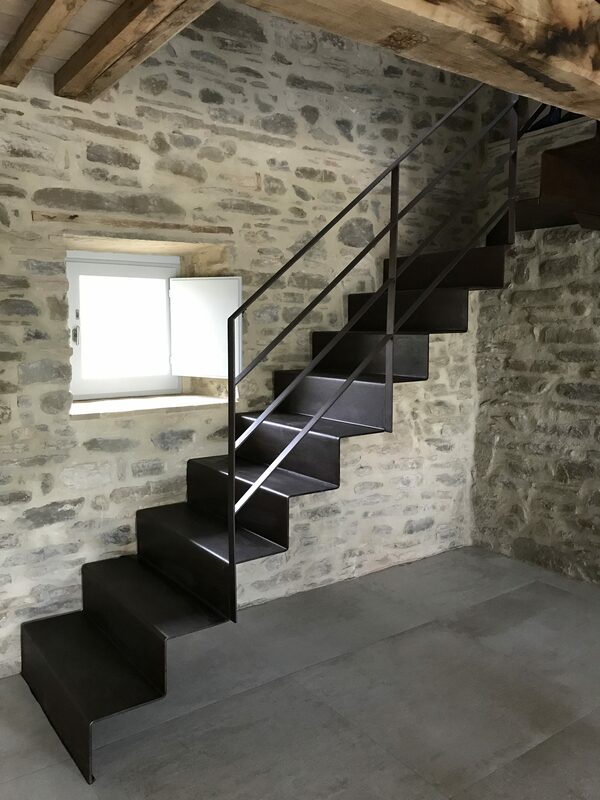 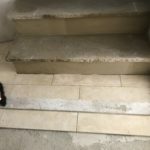 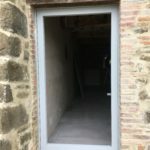 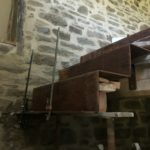 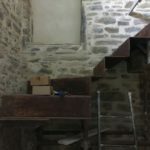 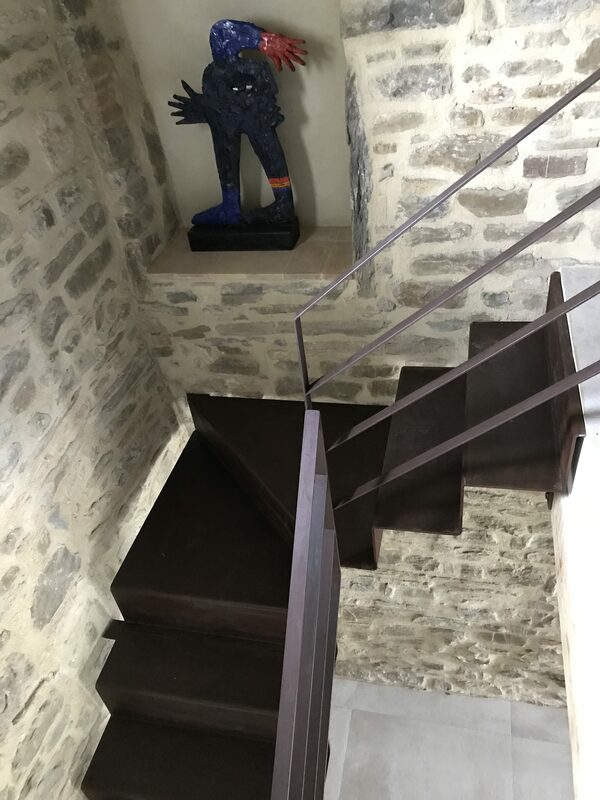 One of the recurrent issue when restoring an old farmhouse is where to locate the internal stairs and what material to use. 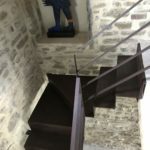 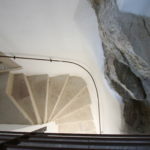 These houses had in fact the two storeys completely separate, the ground floor as stables for animals and the upper floor for the people, with no internal connection but only an external – usually beautiful – staircase. 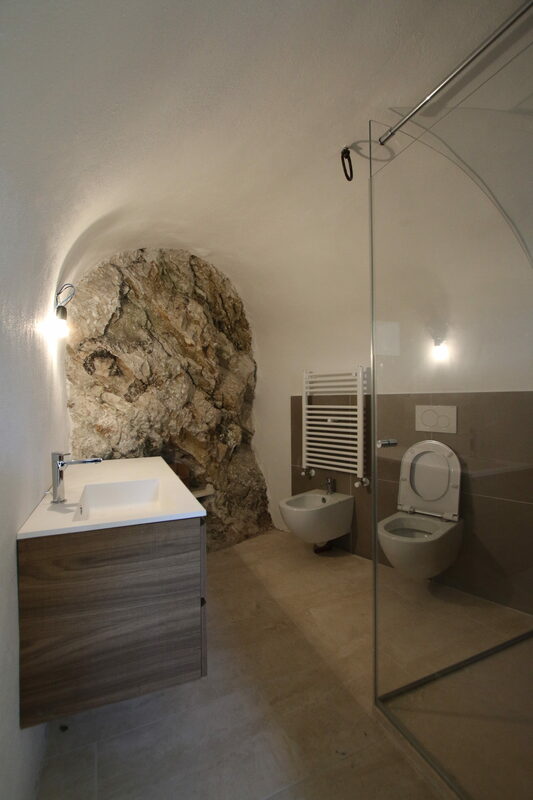 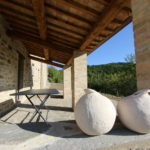 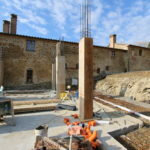 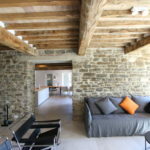 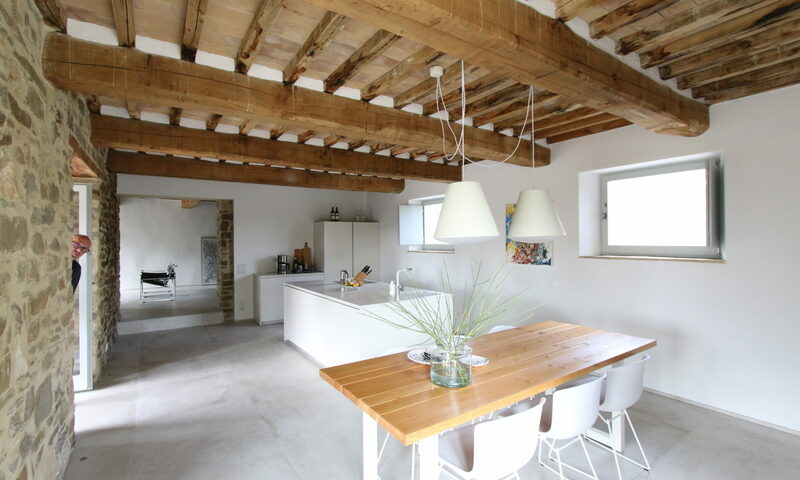 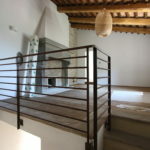 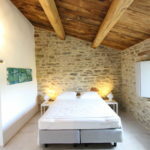 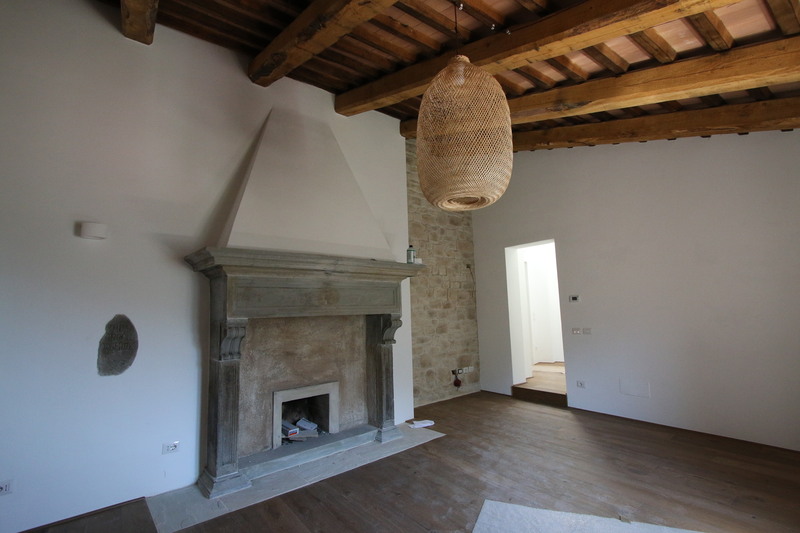 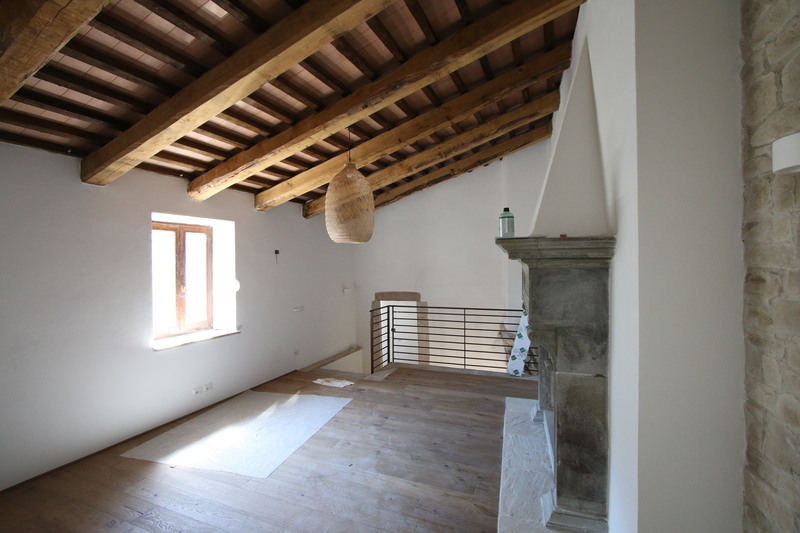 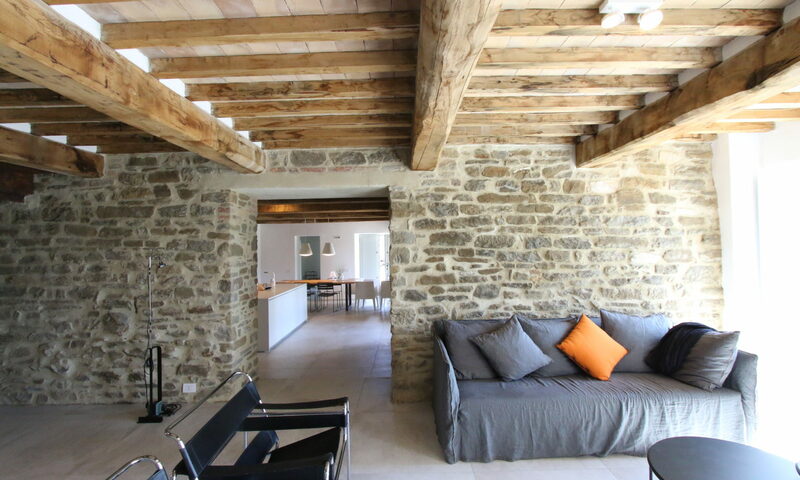 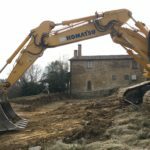 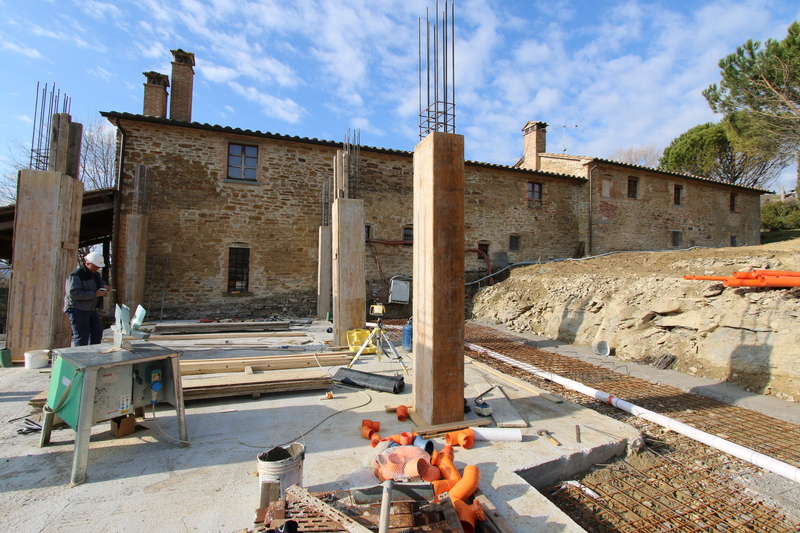 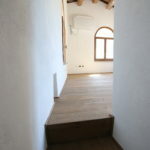 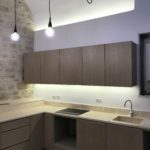 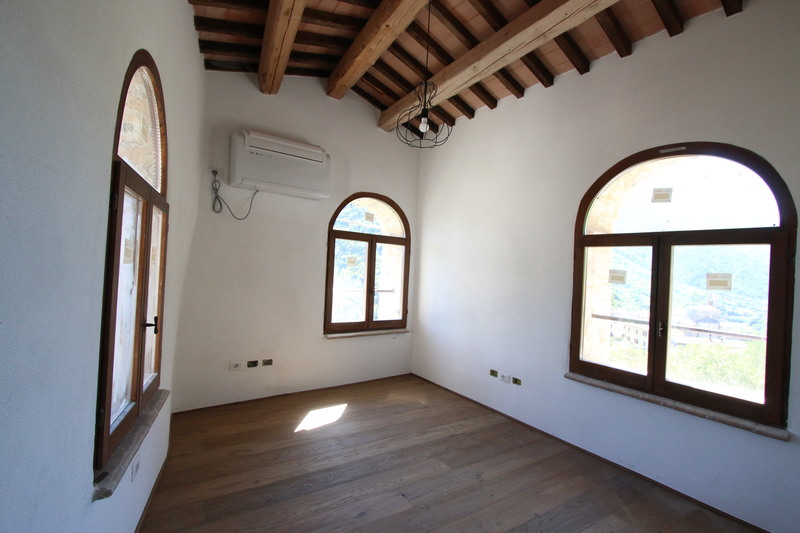 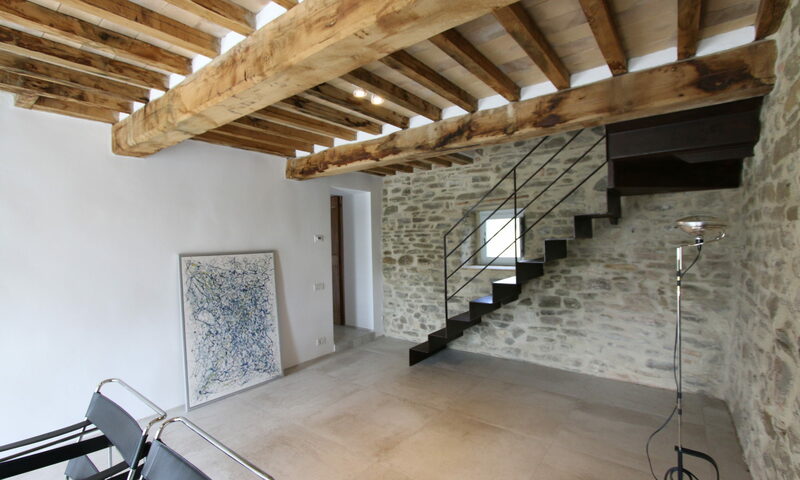 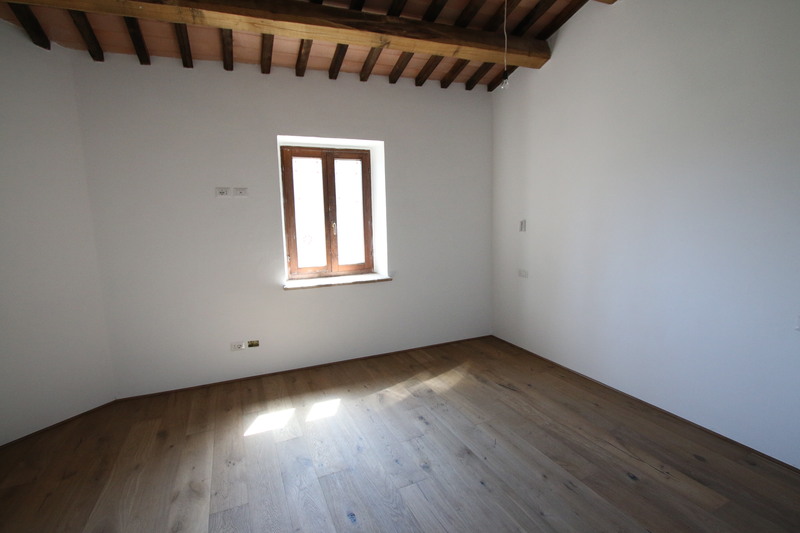 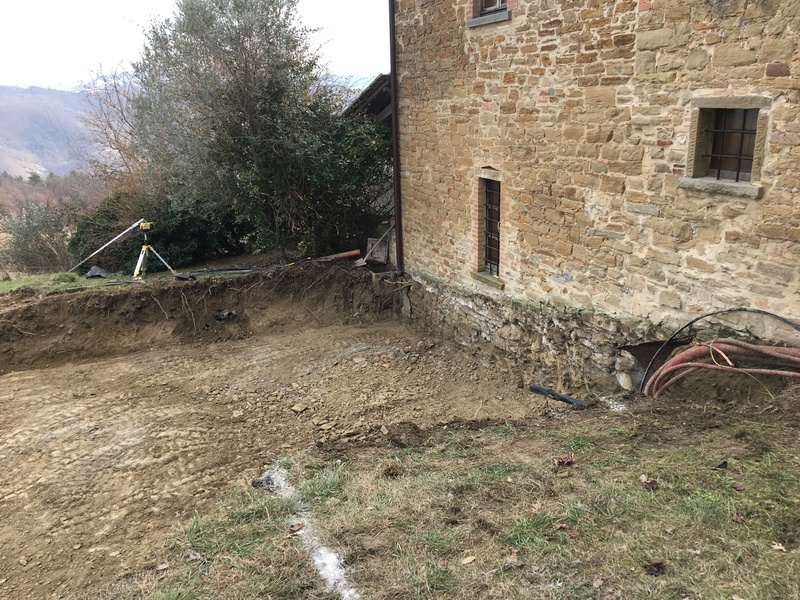 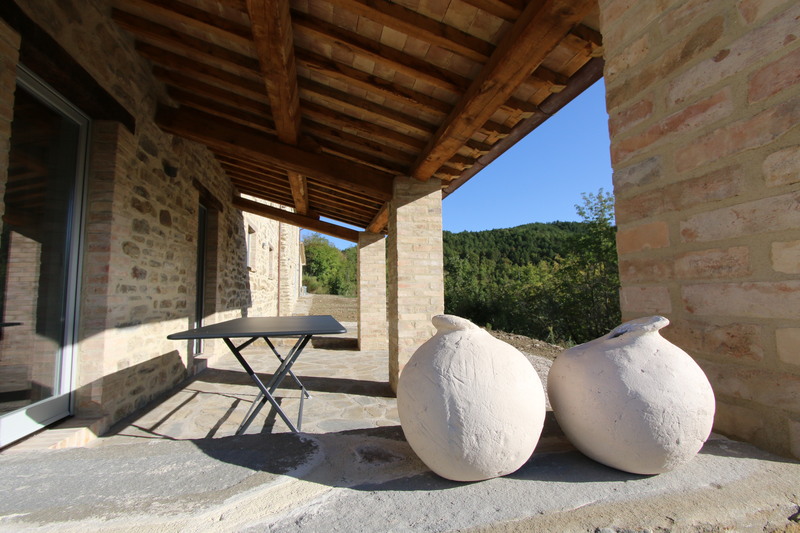 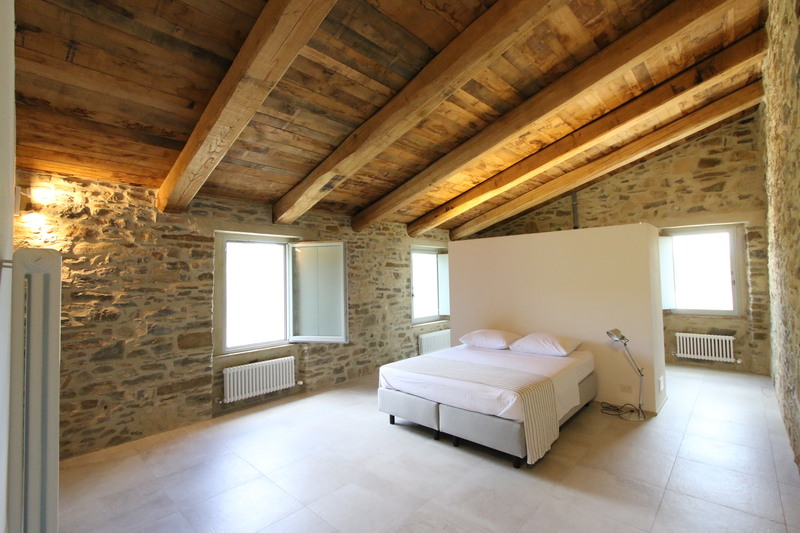 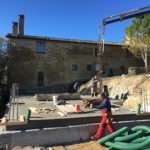 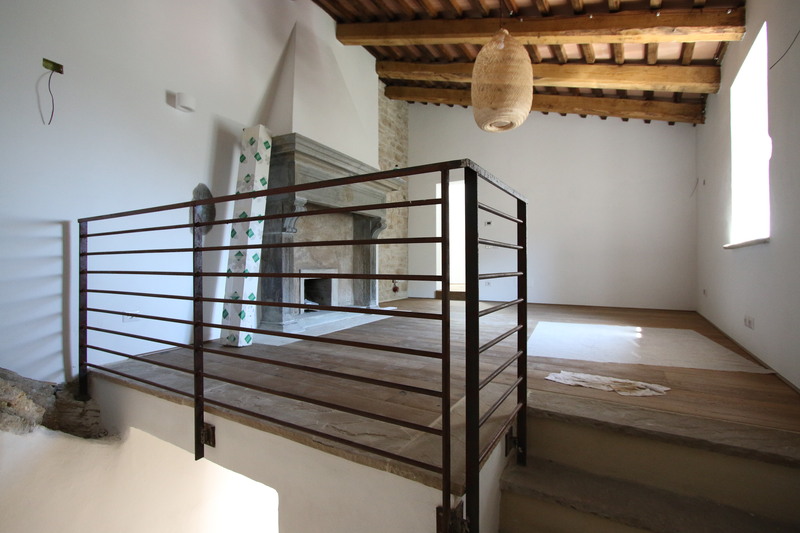 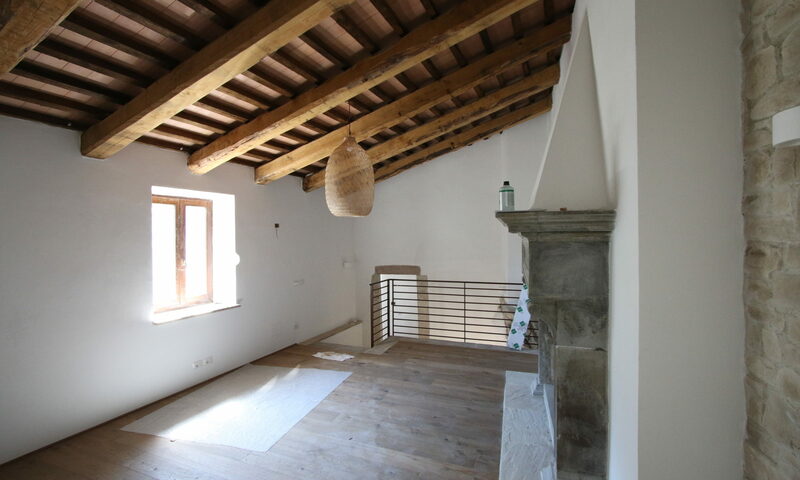 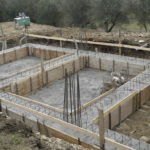 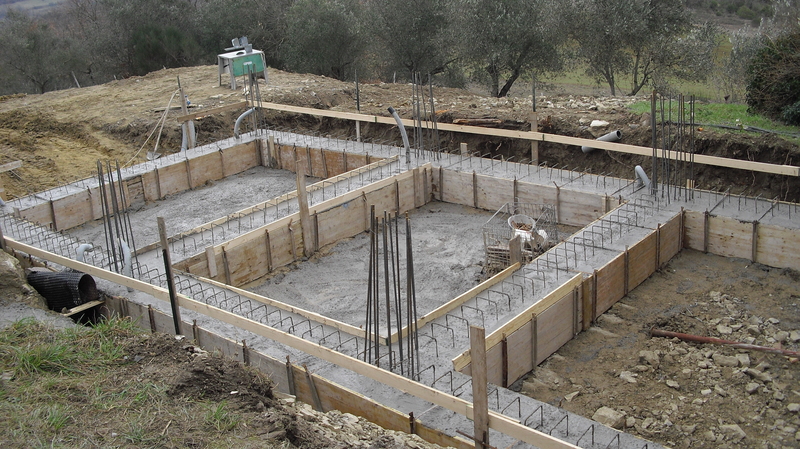 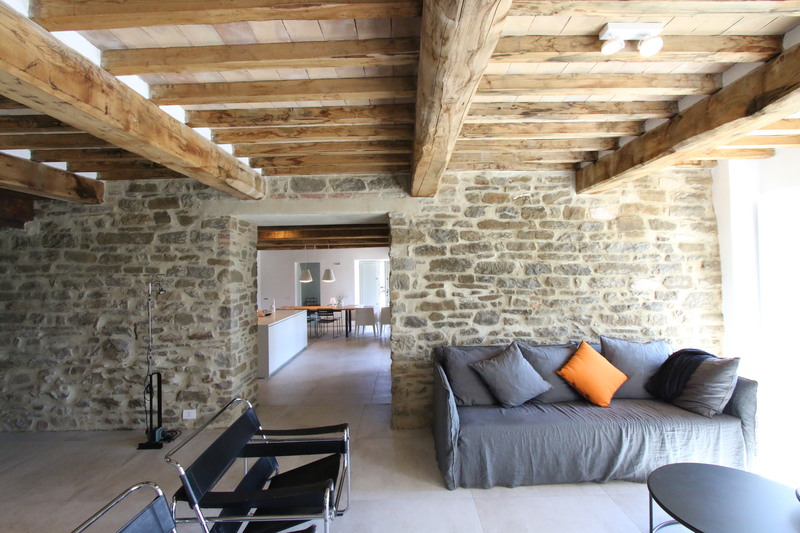 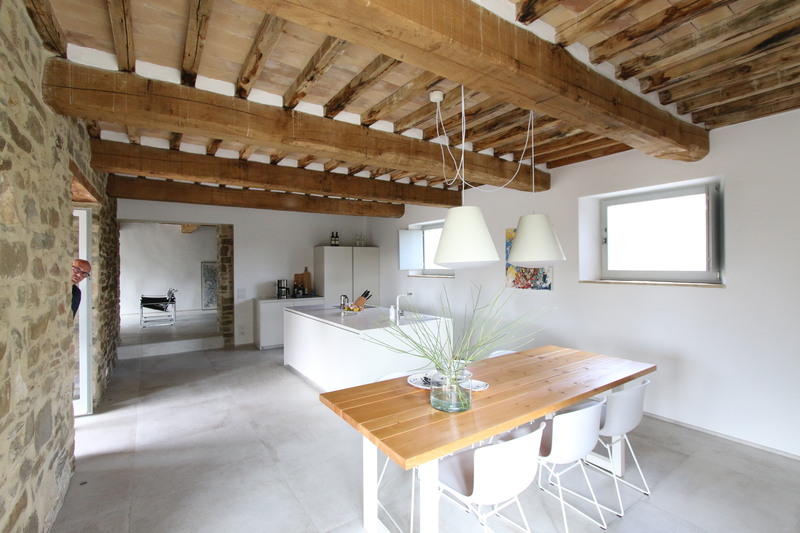 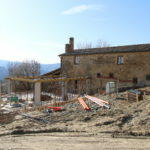 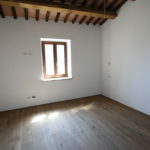 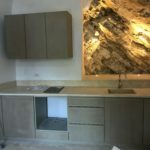 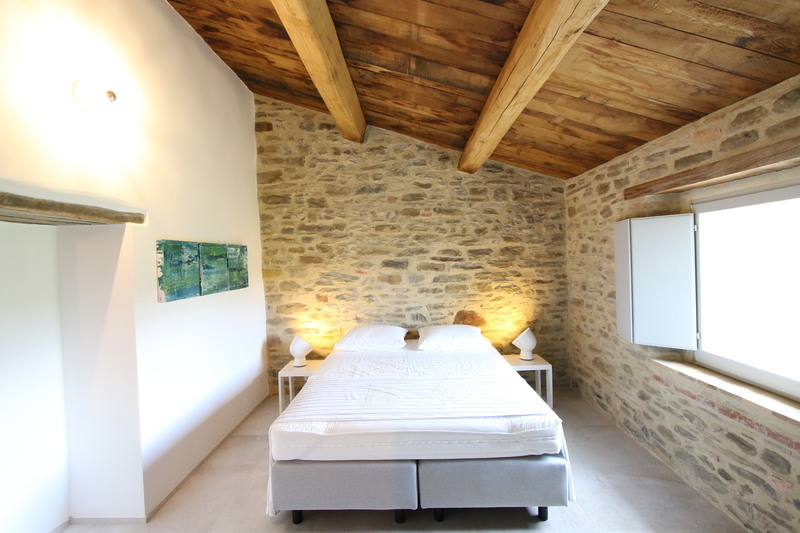 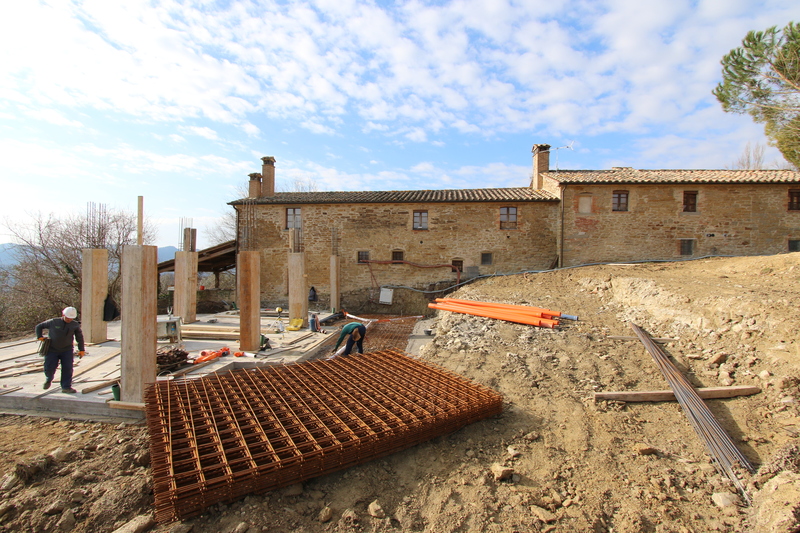 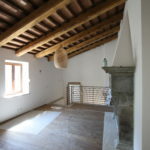 Summer is approaching and the renovation of this old farmhouse on the Umbrian hills near Gubbio is nearly complete! 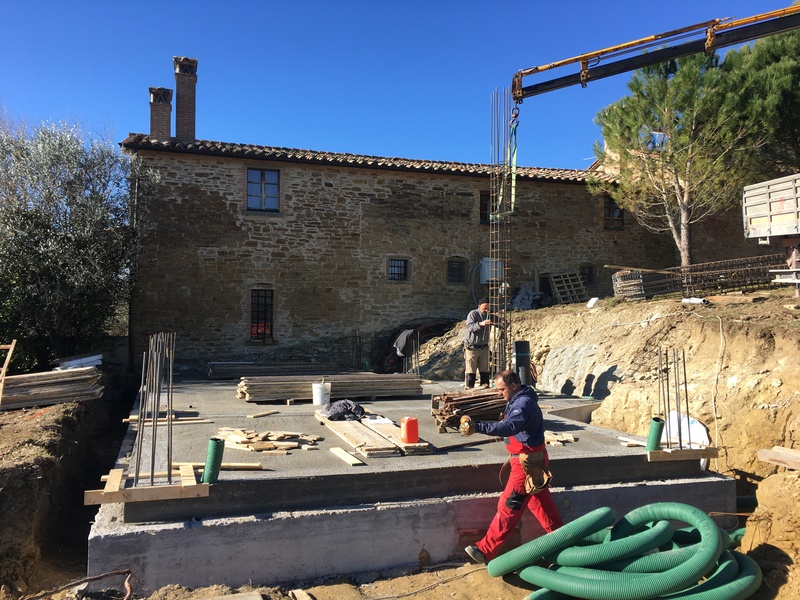 After all the important structural work, such as new roof, new structural floors, seismic reinforcement, it’s now time for the finishings and the interiors. 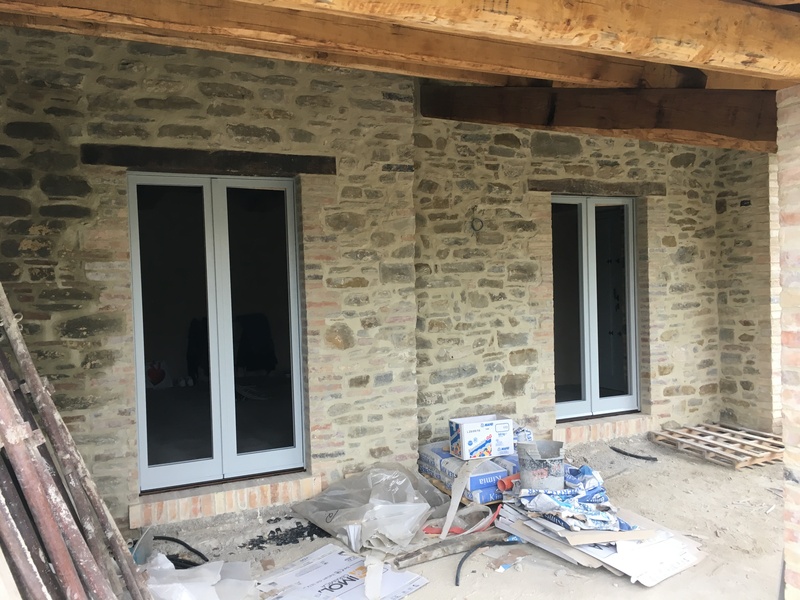 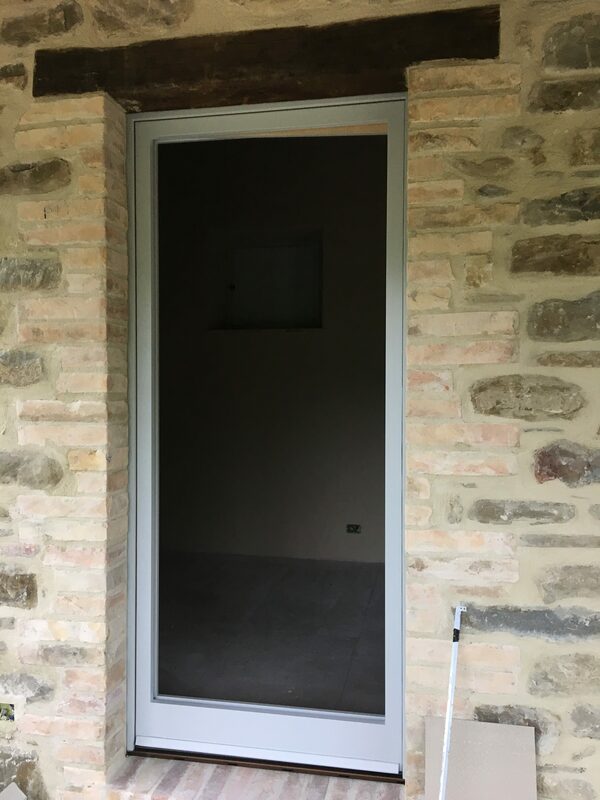 For this beautiful stone house we chose grey windows, which sort of blend with the walls and don’t create a strong contrast. 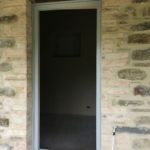 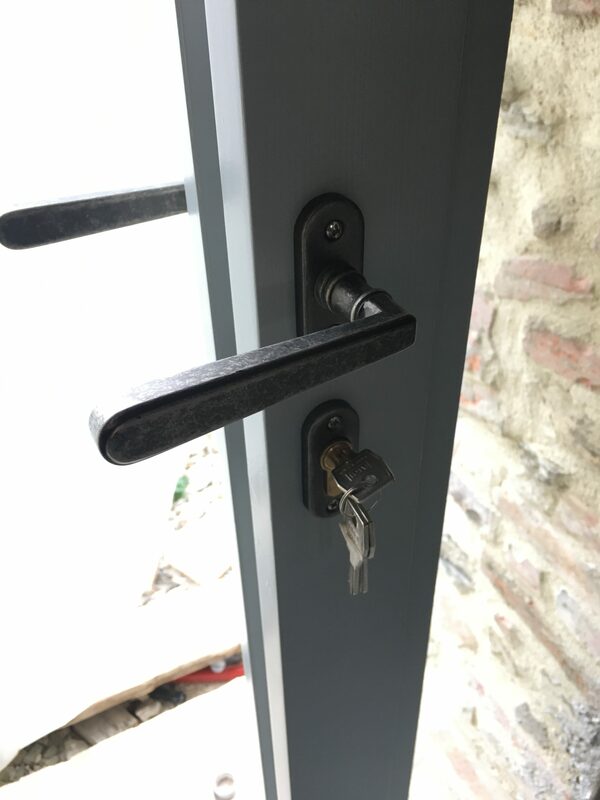 They have internal shutters to have light control inside, but no external ones…we felt that the design of the facades was cleaner this way. 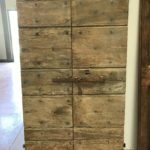 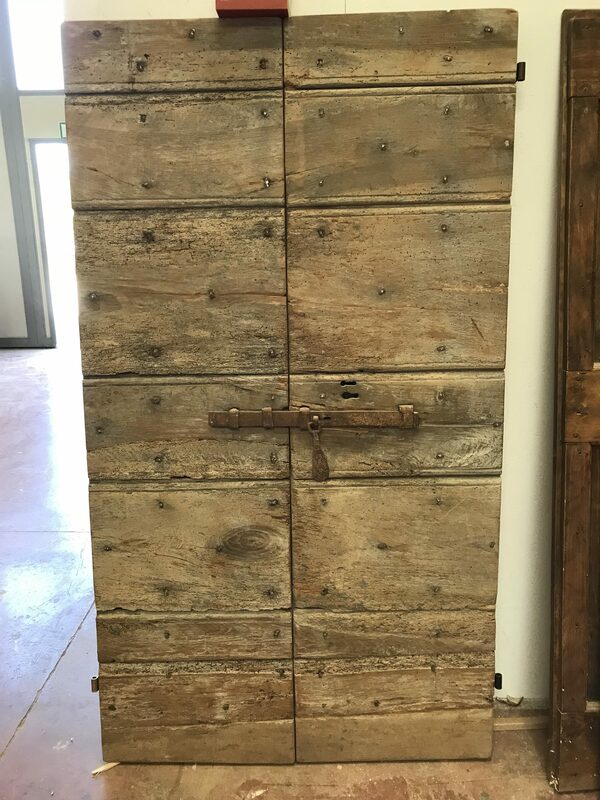 The solid shutters are only on front doors. 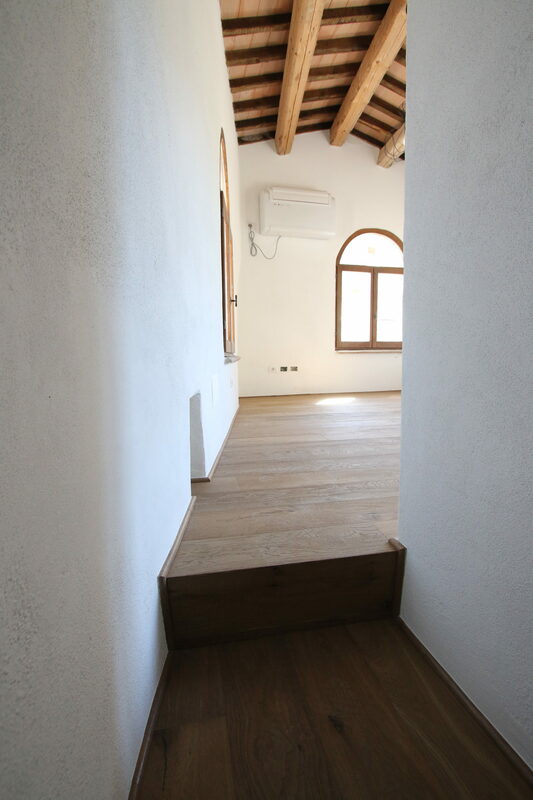 Internal floor is also on its way: light grey, large format gres tiles provide a modern and bright interior. 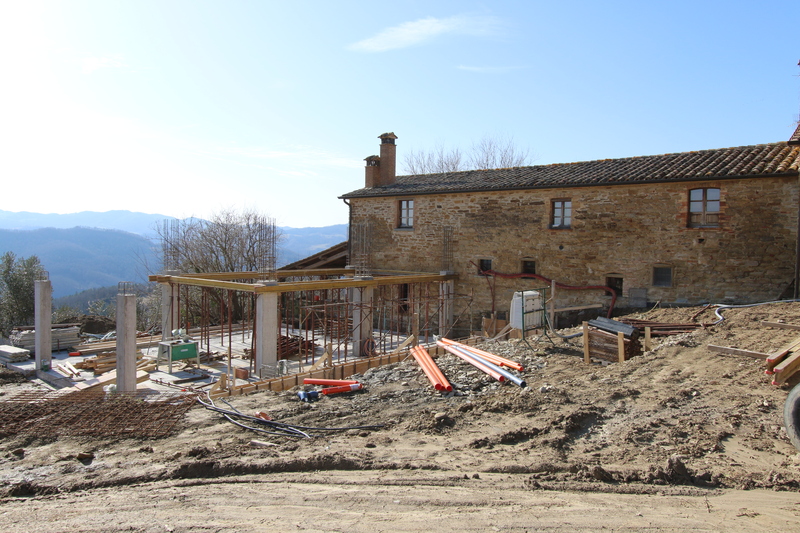 More in a few weeks time, when this beautiful farmhouse will be fully completed.